Product Description: A fast drying, high hiding latex paint for interior application on upper walls and ceilings, not subjected to wear or washing. 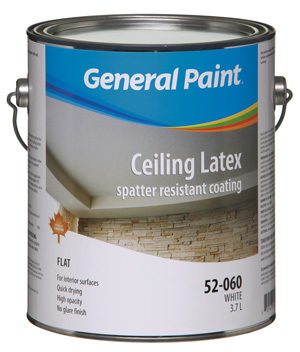 Intended Uses: A very high opacity flat finish for use on new or previously painted ceilings. The product has virtually no low angle sheen and will not flash.